Das kürzlich renovierte, 1840 charmante 2 Zi Ferienhaus ist nur wenige Schritte von der historischen Main Street und dem Equinox Hotel and Spa. Genießen Sie den Outlet-Shopping, Restaurants, lokale Skigebiete (Bromley und Stratton). Warmen, sonnigen und komfortablen Rahmen für einen Familienurlaub. Master BR hat Queen-Size-Bett und das zweite BR hat Roll - 2 Einzelbetten. Familienzimmer Sofa zieht in voller Größe Bett. Zu Fuß zu mehreren Restaurants und Equinox Hotel and Spa. Wander- und Langlaufloipen direkt an der Immobilie. We absolutely loved this cottage. It was cozy and quaint with all of the amenities that you could ever need. We loved the layout - it fit our family of 4 perfectly. We appreciated the heated floors in the kitchen and bathroom and its great location in terms of Manchester. We hope to return many times in the future! We just spent two nights and two days in this beautiful cottage in Manchester Village and absolutely loved it! We were in a perfect location... driving distance to snowboard and walking distance to eat and drink. 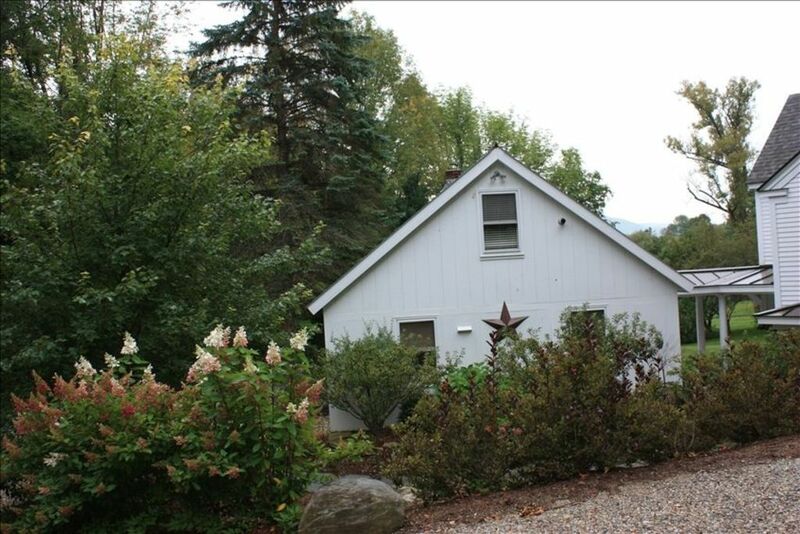 The cottage is clean, spacious, quiet, and warm - it even has heated floors in the bathroom and kitchen! The owners were super nice and couldn't be more accommodating for our last minute rental request! We will be back next year! Thanks for the comments. Glad you enjoyed your stay and look forward to your return. Great house in a perfect location. The only issue - minor at that - was the internet never really worked. Otherwise, a great stay. Thanks for the feedback and we are glad you enjoyed your stay. Apologies for the intermittent wifi service while you were at the cottage. Our cable provider had service disruption in the area over the weekend. My elderly mother, aunt and I enjoyed our stay very much. The house was quiet and away from it all, but still a short drive into town. It was very comfortable for our needs. Manchester is also relatively close to other interesting towns. This is my family's third stay at this cottage and we just continue to love it. The cottage is ideally located in the historic area of Manchester, behind the Equinox, and provides easy access to several ski mountains (Bromley, Stratton, Magic and others a little further), golf, restaurants, outlet shops and other activities. The house itself is cozy and charming, and equipped with everything you might need for a short term stay, (we cooked breakfast or dinner every day). We had a wonderful time in this beautiful cottage . It is imaculate and nicely decorated and very cozy. The owner is very nice and pleasant. We will be back! Our rates are set at a minimal level and we do not offer discounts.